NGC 7000 is a huge nebular complex known as the North America Nebula. 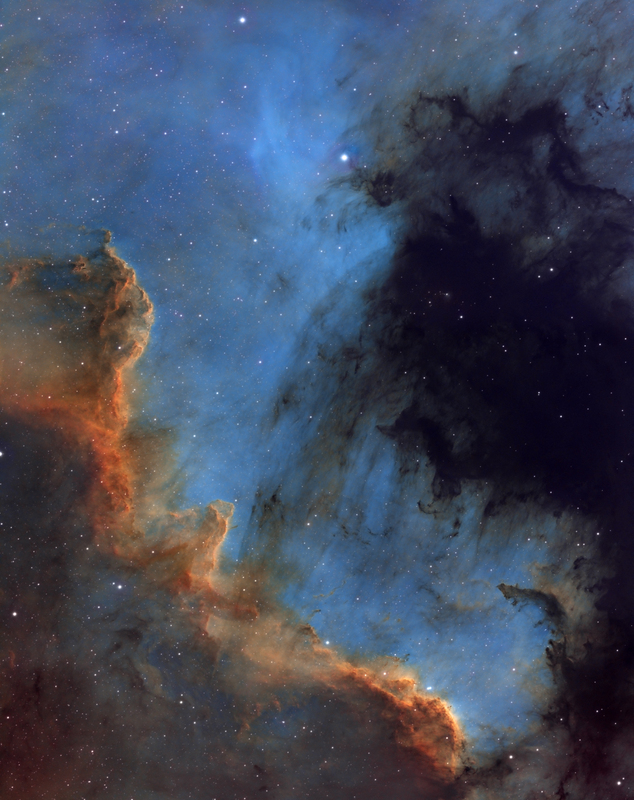 This field of view features a small piece of the complex called the Cygnus Wall. 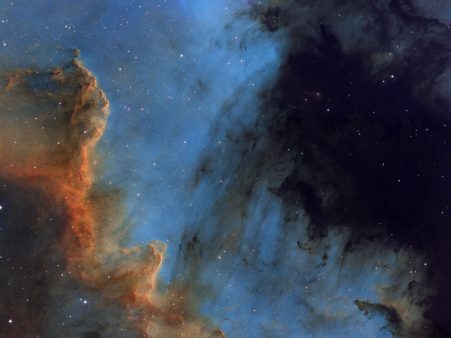 The wall itself appears at the bottom of the image, and relates to the region of NGC 7000 which is reminiscent of the shapes of Mexico and Central America when seen in its entirety. While all of NGC 7000 is an emission nebula, its greatest concentration of star birth is occurring within the wall.